A mental health charity has refused to criticise the government for failing to warn local services that claimants of out-of-work disability benefits are at a hugely-increased risk of attempting to take their own lives. Samaritans – the leading charity working on suicide prevention – has now been asked twice by Disability News Service (DNS) for its response to the Department of Health’s failure to highlight claimants of employment and support allowance (ESA) as a high-risk group in its national suicide prevention strategy. 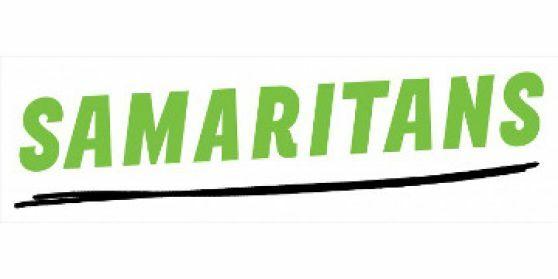 At least some of Samaritans’ work is funded by the Department of Health (DH), while the National Suicide Prevention Alliance, which Samaritans co-chairs, is also DH-funded. When asked by DNS whether it was concerned about DH’s failure to highlight ESA claimants as a high-risk group, a Samaritans spokeswoman said: “The public health evidence is clear that the greater the level of deprivation experienced by an individual the higher their risk of suicide. “This risk worsens for people experiencing multiple negative life events, such as poor health, unemployment, poor living conditions or social isolation. “Financial problems such as unmanageable debt or difficulties accessing benefits are also a risk factor for suicide. Last week, DNS reported that DH had failed to highlight ESA claimants as a high-risk group when it published the latest version of its national suicide prevention strategy in January. The strategy was published four months after NHS Digital produced the results of its Adult Psychiatric Morbidity Survey (APMS), which showed that more than 43 per cent of claimants of employment and support allowance (ESA) had said (when asked in 2014) that they had attempted suicide at some point in their lives. But the suicide prevention strategy fails to mention this figure or to highlight ESA claimants as a high-risk group. Last week, DNS published new figures which showed that the proportion of people claiming the main out-of-work disability benefit who have attempted suicide doubled between 2007 and 2014. The figures show that in 2007 – a year before the introduction of the much-criticised work capability assessment, which tests eligibility for ESA – 21 per cent of incapacity benefit (IB) claimants told researchers they had attempted suicide at some point in their lives. IB began to be replaced by ESA under the New Labour government the following year, in 2008. But by 2014, following six years of the WCA – and four years of social security reforms under the new coalition government, and austerity-related cuts to disability benefits and services – more than 43 per cent of ESA claimants were saying they had attempted suicide. The figures were calculated for DNS by Sally McManus, who leads research on the survey for the independent social research institute NatCen, on behalf of NHS Digital. McManus has now calculated further figures, which show that the proportion of IB/ESA claimants who have ever deliberately self-harmed also rose sharply from 2007 to 2014, as had the proportion of claimants who had had suicidal thoughts at some point in their lives. In 2007, the proportion of IB claimants who said they had self-harmed was 14 per cent, and this rose to 34 per cent of ESA claimants in 2014. And in 2007, the proportion of IB claimants who said they had had suicidal thoughts was 39 per cent, which rose to 66 per cent of ESA claimants in 2014.